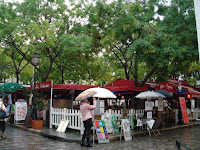 On the north side of Paris is the neighborhood known as Montmartre. 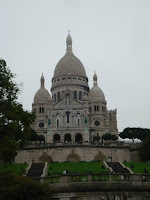 It is on a large rise, the highest point in Paris, and on top of it all is the Sacre-Coeur Basilica. Undaunted by the misty drizzle, we made our way by Metro and then by funicular to the base of the Basilica. Our view was a bit hazy but still spectacular. Inside the church, whose name means “sacred heart,” we wandered around admiring the art work, especially the large representation of Jesus with an exposed heart. Our walking tour from the Rick Steves book took us into the square where the restaurants have now expanded with lots of outdoor seating where there used to be many more artists painting and selling their work. 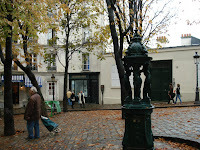 This is the area where the Impressionists gathered and we moved on to see where some of them lived. 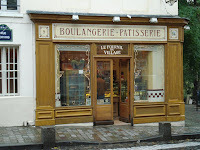 Along the way, w e passed the Boulangerie (bakery) made famous in a Utrillo painting and La Maison Rose restaurant which Utrillo and Picasso frequented and is in another of Utrillo’s works. 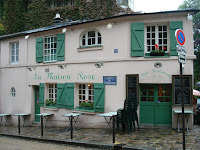 The Au Lapin Agile Caberet was just down the hill a bit from the restaurant. Lapin means rabbit and the Caberet gets its name from the picture above the door that shows a rabbit leaping out of the cooking pot with a bottle of wine in his hand—happy to be drinking rather than cooking. Again Utrillo, Picasso, Renoir, and others of note gathered here to relax and listen to performances of poetry, “stand up comedy,” and sing-alongs. We walked down an alley way past #6 posted on a wooden gate in a tall wall that allowed little view of the place where Renoir once lived. Continuing on however, we found the statue of St. Denis—said to have been marched to Montmartre for execution for spreading Christianity but as the Romans tired, they just beheaded him along the way. 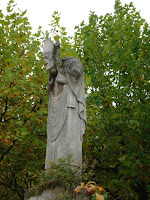 St. Denis, obviously being of sturdy stock, picked up his head and continued on another three miles before dying. Picasso’s studio was just a little farther on. 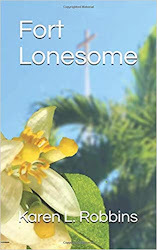 The entrance faces a square with a small park where it is said he met his first real girlfriend, Fernande Olivier, who lifted him out of his Blue Period into his Rose Period. As we continued on, we passed the Moulin de la Galette, an old windmill (Moulin) that turned into an outdoor dance hall and is featured in Renoir’s Bal du Moulin de la Galette. As we neared the base of the hill, we found the home of Toulouse-Lautrec and about a block away, the large house where Van Gogh lived with his brother. 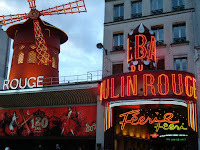 Our tour stopped at the famous, or infamous, Moulin Rouge. It was here that “Le Quadrille” (the can can) was popularized by working class girls on amateur night. 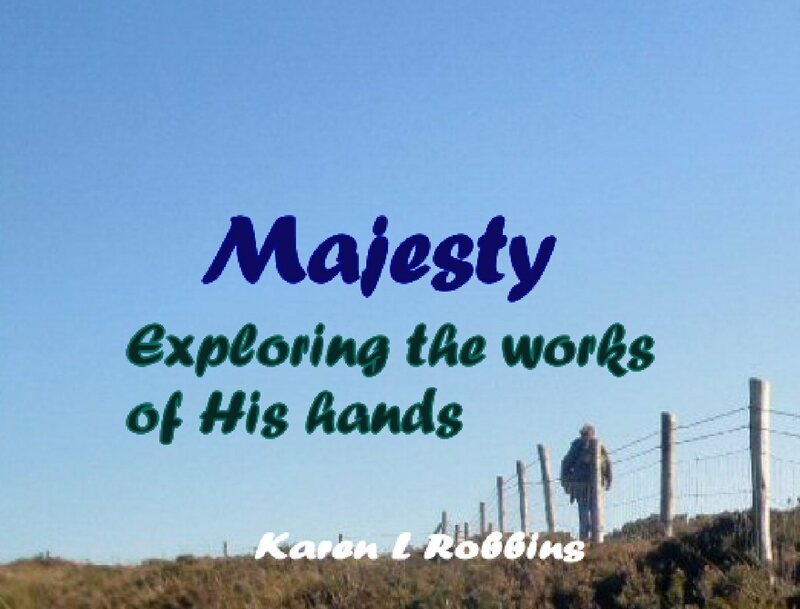 It was also here where you would find a short figure sitting with his drawing materials in front of him sketching the ladies performing. Toulouse-Latrec’s sketches now hang in the Orsay.